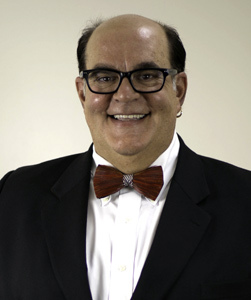 Barney Osborne has more than 30 years of experience in healthcare Finance. Barney is a graduate of the University of South Carolina and is a Fellow of the Healthcare Financial Management Association (FHFMA), certified as a Certified Healthcare Financial Professional (CHFP) in Advanced Technical Study in Accounting and Finance. Today, Barney is putting his many years of hospital financial and administrative experience as a hospital chief financial officer to work for all South Carolina hospitals as vice president of finance and reimbursement for the South Carolina Hospital Association. He is responsible for education, evaluating state and federal regulatory and procedural changes and evaluating the related risks at the hospital state and federal level, and advocating for the good of all South Carolina hospitals. Barney is a long-time member of the South Carolina Chapter of the Healthcare Financial Management Association and is currently a member of the chapter’s Board of Directors. He also serves on a number of other boards and taskforces at the state and federal levels. Michael is a Director in PwC’s health services Revenue Performance Management practice leading engagements and operations at PwC's Virtual Business Office (VBO). Michael has extensive knowledge of revenue cycle operations with areas of expertise including: business process outsourcing, accounts receivable analytics, cash/risk mitigation, business office consolidations, process/operational improvement/automation, and strategic planning primarily with PFS. Michael is a Fellow in HFMA (FHFMA), a Six Sigma Greenbelt, and a graduate of the SCHFMA Certified Revenue Cycle Associate (CRCA) program. 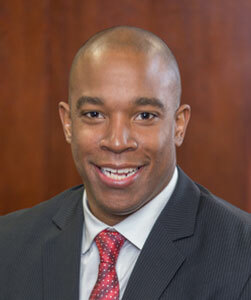 Michael received his undergraduate degree in Political Science from Francis Marion University in 2003, and his Master's in Healthcare Administration from the University of South Carolina in 2008. Michael, his wife Suzanne and his children Jack, Henry, and Eliza live in Lexington, SC. South Carolina native Jasper Powell joined Ensemble Health Partners as a Revenue Integrity Director in 2019. 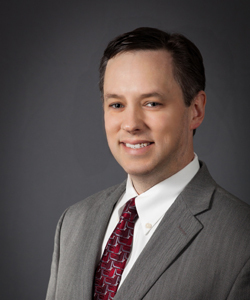 He began his career in healthcare finance in 2002 at BlueCross and BlueShield of South Carolina and made the transition from payer to provider by joining the Patient Financial Services team at Self Regional Healthcare in 2005. In 2011, he became Regional’s Charge Master Coordinator and in 2016, Jasper joined the Self Regional Information Systems and Technology team as the Revenue Cycle Applications Manager. He is a 2001 graduate of the University of South Carolina-Aiken where he was a member of the University Theatre Players. He has obtained Epic Certifications in Resolute HB, Resolute PB, and HB Charging and he has Epic Proficiency in Charge Router and Home Health Billing. Jasper and his wife, Rhonda, are the proud parents of twins, Jay and Katie. Not only is Jasper the father of twins, but he has an identical twin brother, in which he claims to be the good twin. He is an active member of the Cambridge Cougar Club, where his children attend school in beautiful Greenwood, SC. As an active member of the HFMA South Carolina Chapter, Jasper previously served as the chair of the Communication Committee and Editor of the Palmetto State News from 2013-2016. He has also served as a member and proctor for the CRCA committee and has served on many institute planning committees. He is a 2007 graduate of SCHFMA’s Certified Revenue Cycle Associate (CRCA) program and earned his Certified Healthcare Financial Professional (CHFP) designation in 2014. In 2015, he was awarded the prestigious Fellow of the Healthcare Financial Management Association (FHFMA). He will serve as President of the South Carolina Chapter in the 2020-2021 chapter year. Danielle Gori is the Government Audit Contractor Program Manager for Bon Secours St. Francis Health System in Greenville, SC. Danielle oversees all RAC audit activity (including appeals, rebilling, trending reports, and accrual and extrapolation reporting) and is also the Bon Secours Health System liaison for all RAC related activity. She has 14 years healthcare related experience which includes 6 years in Revenue Cycle with an emphasis in Denials Management and 3 years in Reimbursement. 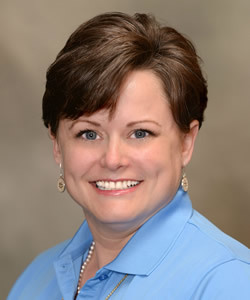 Danielle joined HFMA in 2011 and served as chair for the 2013 Fall Institute in Greenville, SC. She is a graduate of Lander University, an avid cyclist and NHL enthusiast. She resides in Easley, SC with her husband VJ. Originally from West Virginia, Candi has been a member of HFMA since 2007. Candi brings over a decade of Medical/Dental Billing and Management to SC. She received a BA in Technical and Performance Arts from Armstrong Atlantic State University in Savannah, GA and then her MBA from West Virginia University. She is employed by Optim Health, in Savannah, GA, where she serves as the Enterprise Revenue Cycle Director. Candi was the 2010-2011 recipient of the Lucille P. Craft Award for the most outstanding contribution of a WV HFMA member. She also served for three terms as the Revenue Cycle Education Chair for that chapter. Candi served as the Chair of the SC HFMA 2013 and 2014 Annual Institutes and has volunteered for both the Mid-Atlantic and Dixie Conferences. She has also served as Program Chair in SCHFMA. Candice, a former dance/cheer/gymnastics instructor, enjoys sports, football in particular, karaoke and hanging at the beach with her family. Candi has been married to her best friend for over 15 years and reside in Bluffton, SC where they are raising two beautiful daughters. Christopher Glenn serves as Director of Finance for Roper St. Francis, Charleston, S.C.’s only private, not-for-profit hospital system with a specific focus on community outreach. Prior to joining Roper St. Francis in 2006, Chris worked for 11 years for a Charleston based CPA firm in the areas of auditing and litigation support services. He is a Certified Public Accountant and a Master Analyst in Financial Forensics. 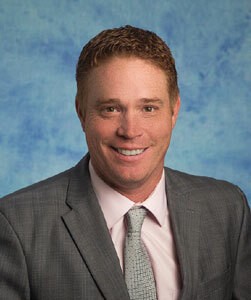 He is a 1994 graduate of the College of Charleston with bachelor’s degrees in business administration and accounting. A Charleston native, he has been involved in several charities over the years, including the Carolina Children’s Charity board of directors, Trident United Way Campaign Cabinet, the Trident United Way Young Philanthropists Society Steering Committee, co-chair for the Trident United Way Battle of the Bands event and co-chair for the Lowcountry Food Bank Battle of the Bands event. Founder of Laddaga- Garrett, P.A., Attorneys and Counselors at Law in Charleston, South Carolina, in 1983, the firm limits its practice to Health Law and denial management and appeals. The firm represents a variety of health care providers in litigation, mediation and arbitration against insurance and health plans; Medicare/Medicaid issues; Compliance matters; revenue cycle consulting; managed care contracting; HIPAA; discharge planning issues; licensing and regulatory issues. He also serves as an adjunct faculty member at the College of Charleston's School of Professional Studies where he teaches Health Law and Regulation. Past chair of the Health Law Section of the S.C. Bar, he is also a member of the American Health Lawyers Association, an advanced member of the Healthcare Financial Managers Association (HFMA) and holds their Fellow Designation with Certifications in Patient Accounts and Managed Care. He is a past President of the South Carolina Chapter of HFMA, a past Regional Executive and served two terms on the HFMA National Principles and Practices Board, and Chapter Advancement Team. Mr. Laddaga enjoys Argentine Tango, Yoga, Zumba, Running, and Barre. 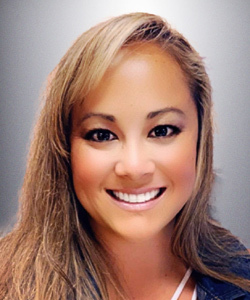 Yulia Milli is a driven accounting professional with over 15 years of experience in both the for-profit and non-profit industries. She joined the Medical University Hospital Authority (MUSC Health) in Charleston, SC in 2007, where she quickly developed a passion for the challenging and continually evolving healthcare industry. In her current position as the Accounting Manager, Yulia is responsible for providing timely and accurate financial reporting and leadership to a strong team of accounting professionals performing general, lease, capital assets, debt and investments accounting functions. 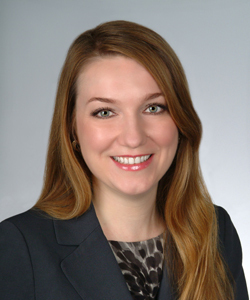 A member of HFMA since 2008 , Yulia was awarded the prestigious Fellow of the Healthcare Financial Management Association (FHFMA) designation in 2015. Yulia earned both her Bachelor’s and Master’s degrees in Accountancy from the Far Eastern State Transport University in Khabarovsk, Russia. Residing in Charleston, SC, she is involved in her community through volunteer activities, and during her free time she enjoys hiking, paddling, exercising, playing team sports, and live music. 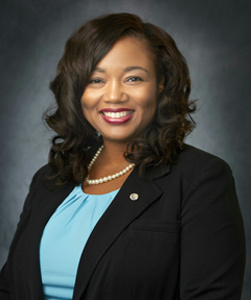 Teosha Harrison is the Provider Relations Manager for all commercial business of BlueCross BlueShield of South Carolina. She’s been with the company for 19 years, spending the last 8 serving the provider community of South Carolina. She oversees a team of representatives who provide problem resolution and financial solutions for the company’s network providers. Teosha’s background includes training development, and healthcare consulting. She has been a member of SCHFMA since 2008 and worked on several committees. Teosha has a BA in Political Science from the College of Charleston. She is a member of the 2017 class of Leadership Columbia, and enjoys Zumba in her spare time. After losing her close friend to breast cancer, Teosha and friends started the Lola Brown Foundation to promote breast check awareness among young women. She and her husband Edward are the biggest cheerleaders of their 3 sons, Landon, Lleyton, and Logan. They play many sports and are very active with school and community activities.? Robert C. Taylor is Regional Director of Revenue Cycle Strategy with AMCOL Systems. His 13-year career with AMCOL has encompassed many aspects of the accounts receivable management business. Starting as a collector, he moved quickly into Operations management then on to the Compliance, Training and Auditing department. He continued to advance, achieving great success in the training department where he helped develop a curriculum second to none in this industry. His diverse path has provided experience and insight that help hospitals, healthcare systems and large physician practices consider the most effective revenue cycle strategies to deploy for maximum results. Robert graduated from SC State University where he met his beautiful wife, Dyisha. They are active members of New Destiny Church in Columbia, SC and are raising two very busy sons. Doug Burrell is Director Revenue Cycle Operations at Bon Secours St. Francis Health System in Greenville, SC. He has been at St. Francis for almost two years and oversees the Registration, Revenue Integrity, Customer Service and RAC staff. Previously Doug spent 1 ½ years at Georgetown Hospital System serving as the Business Manager for their physician network. Before going to Georgetown he spent 10 years at Roper St. Francis Healthcare in Charleston, SC in various roles including Managed Care and Reimbursement Services. Doug received his Bachelor’s and Master’s degrees in Accounting from the College of Charleston. He resides in Taylors, SC along with his wife Amy and daughter Emily. Originally from New York, Nick moved to South Carolina in 2005 to pursue his education at Coastal Carolina University. He graduated in 2009 with a degree in business Mgmt. 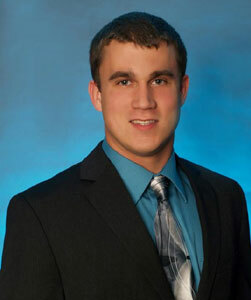 Nick has been working in the healthcare field with BCC Financial Mgmt services since 2011. 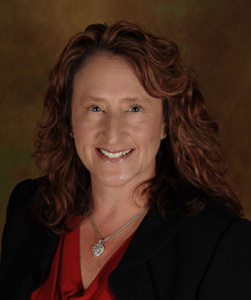 Donna Kelly Ramicone has 20 years’ experience as a healthcare finance professional and is currently working as the Director of Financial Operations for the Palmetto Health-University of South Carolina Medical group in Columbia, South Carolina since its inception in 2016. Prior to this, she worked as Vice President of Physician Network Finance for Lexington Medical Center also in South Carolina and Director of Finance/Controller for HCA Physician Services Group in Nashville, Tennessee. Her work experience covers accounting, revenue cycle, financial reporting, provider compensation/contracting and business analytics for large medical groups. Donna is also an adjunct professor at Webster University, teaching advanced finance courses to MHA and MBA students. Donna achieved HFMA’s Certified Healthcare Finance Professional designation in 2015. She received a Bachelor’s degree in Business Administration from Drexel University and Master’s degree from Regis University. 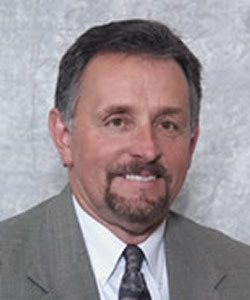 Tommy Cockrell is President and CEO of South Carolina Hospital Association - Solutions Division. 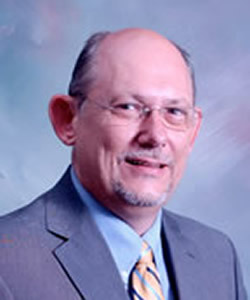 Prior to joining SCHA in December 1992, Tommy was employed with Kershaw County Memorial Hospital for 21 years, most recently as Chief Financial Officer. Tommy received a BS in Accounting from the University of South Carolina and a MA in Business from Webster University. Tommy also holds the designations of Fellow (FHFMA) with certifications in Finance, Patient Accounting, and Managed Care by the Healthcare Financial Management Association (HFMA). 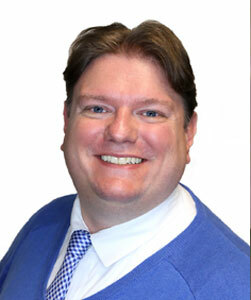 Tommy also serves as an adjunct faculty member for Webster University and the University Of South Carolina. An active member of HFMA, Tommy served the South Carolina Chapter as President in 1988-89. Previous positions with the South Carolina Chapter include President-Elect, two terms as Treasurer and Chairman of numerous committees. In addition to South Carolina Chapter activities, Tommy served Region V of HFMA as Chapter Liaison Representative and at the national level as a member of the National Nominating Committee. Tommy and his wife, Ruth, are the parents of Kelley, a Certified Public Accountant and Cory, a graduate at the College of Charleston. Tommy and his family are active members of Antioch Baptist Church. In his spare time, Tommy enjoys all sports, classic cars, and enjoying his 3 grandchildren.